Sometimes it's the little unassuming books that will jump up and smack you in the face. 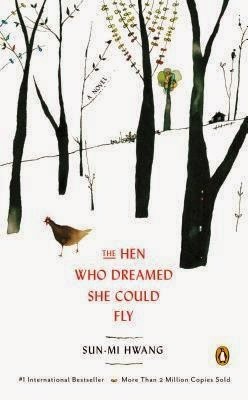 Such was the case with The Hen Who Dreamed She Could Fly, by Sun-Mi Hwang, translated by Chi-Young Kim. Sprout is a hen tired of laying eggs only to have them taken from her. She's confined to a coop with all the other laying hens until the day she's removed from her home for being ill and unable to produce. Once she's on the outside, she feels the thrill of freedom, but there are other dangers lurking from distrustful barnyard peers to a wily weasel looking for a next meal. Alas, all Sprout really wants in life is to lay an egg and see it hatch. She gets her chance, but under unusual circumstances. 1. It's short. Only 144 pages. If you need a quick read to bust you out of a slump, this one might be THE book. 2. It's not hokey like I expected. I'm always slightly nervous of "modern fables." Sometimes they can be too new agey (The Alchemist) or too smug and self aware. This one falls squarely in the heartwarming and sweet camp. 3. It has a plot! There are real life-and-death conflicts in this book. Sprout is in constant danger, and I legitimately needed to know what happened to her and her offspring. 4. Motherhood. If you're a mom, want to be a mom, have a mom, have an aunt who is like a mom, etc. this will remind you of the sacrifices and mental/emotional struggles mothers go through for their kids. 5. It's just a good read. I finished this book with a smile on my face, happy to have spent an hour or two kicked back with a beautiful story in a gorgeous edition. After you go pick this book up from your local library or bookstore, take a run through Leah's "How to Write More Creative Book Reviews" post from the most recent mini-Bloggiesta! It gave me inspiration since this book didn't lend itself to a lengthy, traditional review. Great review! And I loved Leah's article as well! This one didn't really interest me - like you said, it seemed kind of hokey. But, you made me want to read it. Especially the motherhood part. Yay! I've seen quite a few reviews, but I can never remember who liked it and who didn't. Ginormous hugs for Sprout! I so want to read this book, but after reading another review, I got the impression that it is going to be pretty sad (in a "I can totally relate to this" kind of way), so I have TBRd it for later. Now you have me wanting to read this one now. There is a sad element to it, but it seemed a natural outgrowth of the story rather than a huge tragedy if that makes sense. It was a fitting sadness. I definitely wouldn't have considered this one without your rave. Aw, I liked this one, too. It was on my list for my favs of 2014. I'm so glad you liked this one, Debbie. It was just so sweet, well written, and genuinely involving! 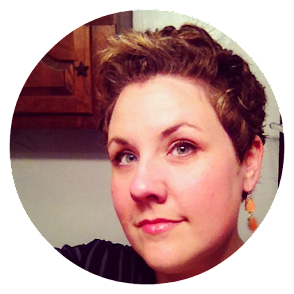 Great review and thanks for sharing Leah's post... lots of inspiration there! I like Leah's post a lot - it's nice to get out of the box once in a while. And I already have this book on my radar based on our emails - glad you enjoyed it so much! I saw this in the bookshop today - now I'm gutted that I didn't pick it up! You know... I am less likely to buy a shorter book than a longer one... haha. But, it does sound good and one day I will go back to the library again! I love the way you wrote this post! Is this one I want to own or is an ebook okay? Ooh, I'm putting this on my list of read-a-thon approved books. Thanks for linking to my post! I thought this book sounded kind of campy, so I'm glad to see it is a good solid read! It sounds cute! Aww, this sounds adorable! I'm glad it turned out not to be enjoyable and not too silly. I recently did a post inspired by Leah's challenge too. Good stuff!